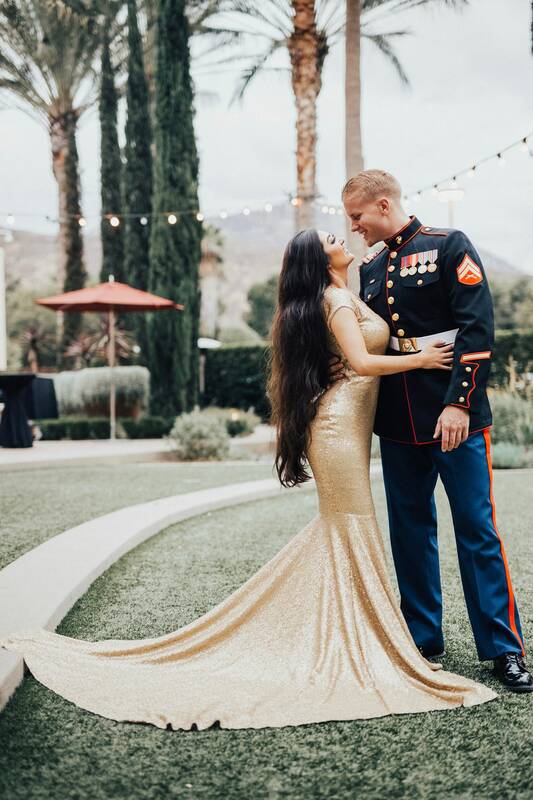 Beautiful Belén shared her engagement photoshoot with us to showcase her custom Rooney Mae gown. Shown here with cap sleeves, crossover bust, mermaid fitted body con style in matt gold glitz sequins. Fully lined. Slit is optional. 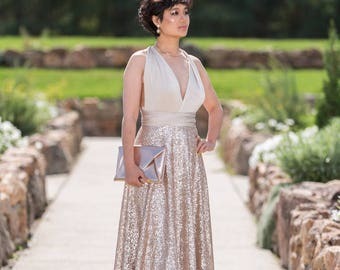 Perfect for bridesmaids or evening wear.